A public artwork that involved 3 classes from Glasgow Primary schools, this interactive artwork was commissioned by Tramway’s Public Art Programme. 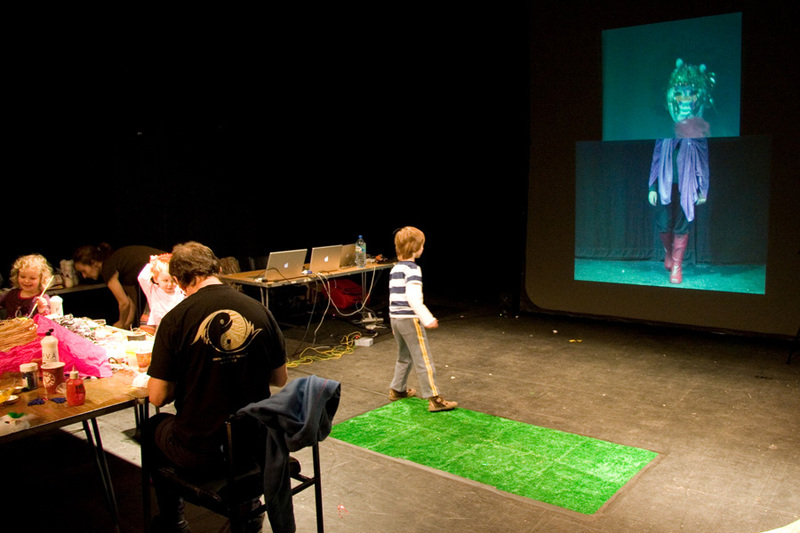 Using Pure Data to build an interactive ‘dancing mat’ which triggered random video and sound clips, the installation allowed the children and audience to manipulate the head and body to create different dancing characters. The source material – or characters – were created by school children in workshops at Tramway, Glasgow. Children made masks for their characters, dressed up, and ‘played’ their characters on video and recorded sound clips. All this became source material for the ‘bank’ of video and audio clips that were played randomly as the dance mat was used.